All monetary donations are exempt from tax under Section 80-G of the Income Tax Act. 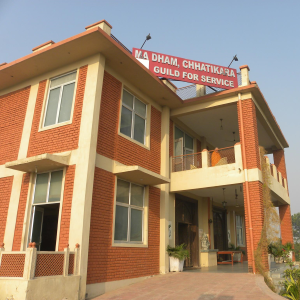 At our shelter home in Vrindavan, Ma Dham, thousands of widows have been rehabilitated. The home offers holistic opportunities for development by providing food, clothing, shelter, vocational training, medical aid and counseling to the destitute widows. The home presently shelters about 120 widows, the majority of them being elderly and suffering from ailments that sometimes require constant medical attention. The target of rehabilitating the widows of Vrindavan is an enormous one. Our home, Ma Dham, is a small beginning. You can care and share in this effort of giving a life of dignity to the 16,000 widows in Vrindavan.